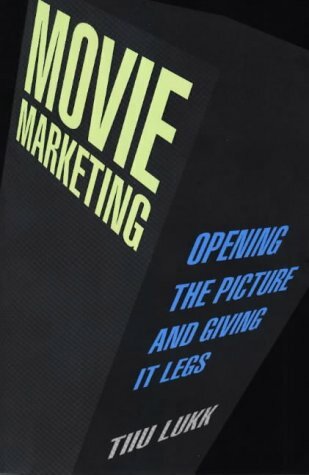 Movie Marketing demystifies complex marketing issues, profiling marketing strategies for films of widely varying budgets, genres, and intended audiences through the words of the marketers and distributors (and occasionally filmmakers) responsible for developing and implementing these strategies. Movie Marketing is an indispensable and fascinating tour of the many varied ways to market films. This book should be of value to all independent filmmakers and anyone hoping to work in film distribution and marketing. Movie Marketing also includes chapters on merchandising and promotions and creating trailers. Among the independent films profiled are Four Weddings and a Funeral, Pulp Fiction, The Brothers McMullen, Goldeneye, Hoop Dreams, Welcome to the Dollhouse, Howard's End, Crumb, Carnosaur, Malice and Brother's Keeper. Tiiu Lukk has worked as a journalist, a documentary filmmaker, and a public relations and marketing executive. As a foreign correspondent in southern Africa, she reported news for ABC television and radio, the Washington Star, the Hearst Newspapers, and African Report magazine. Her work has won awards in many media, including as Emmy Award, many film festival prizes, and the Western Publishing Association Award for Best Specialty Magazine.